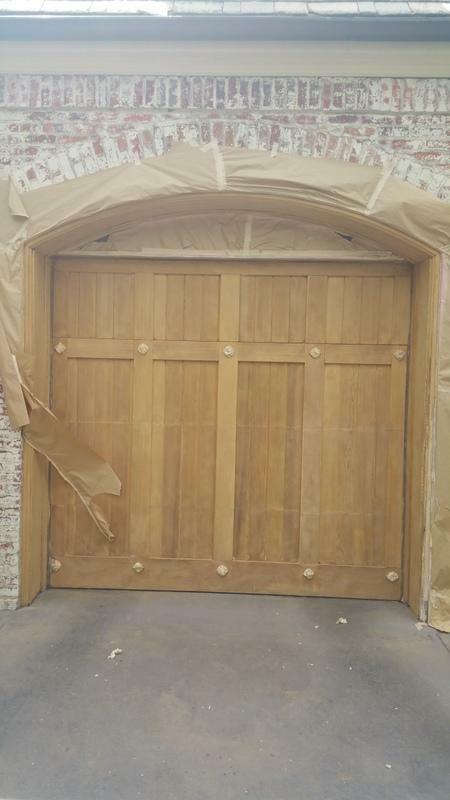 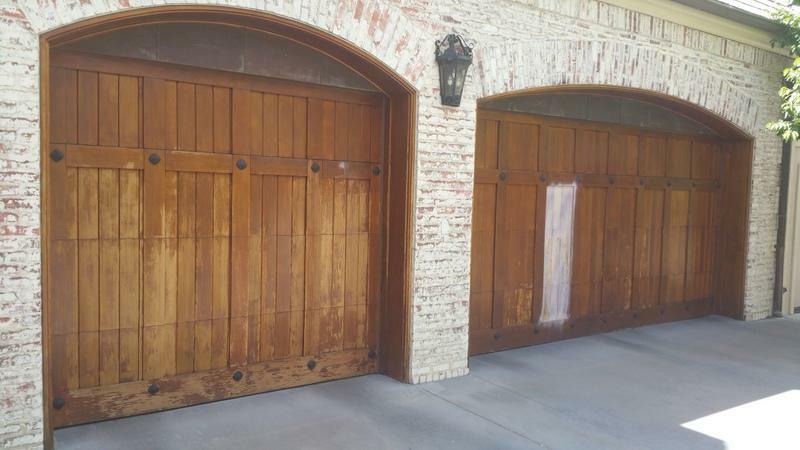 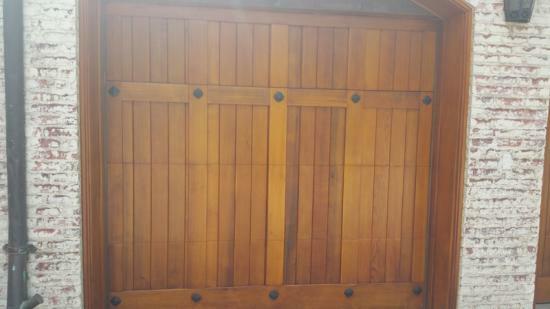 Assessment: The homeowners desired a slight color change on the solid oak garage doors. 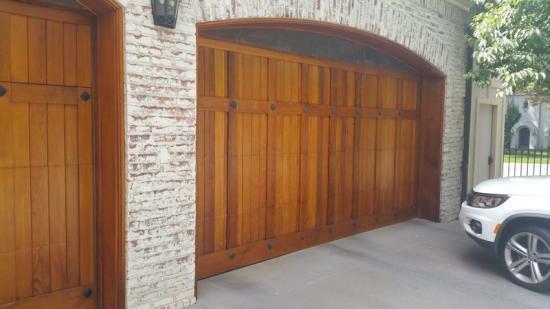 The only one way to achieve this desired look is with a complete restoration! 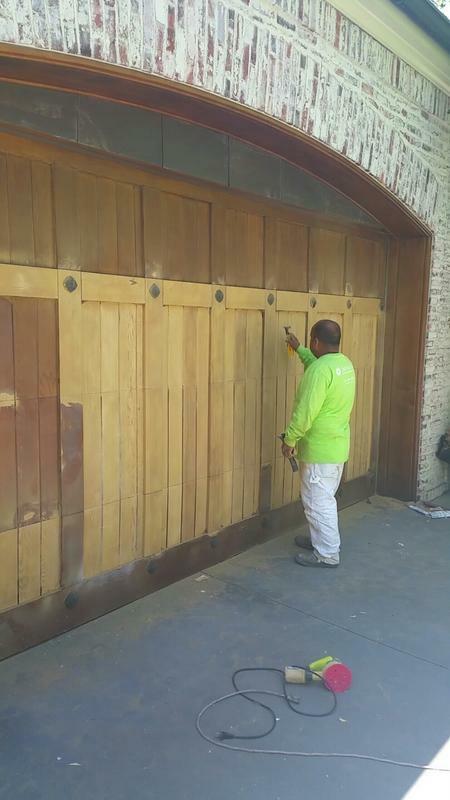 This door had custom copper siding above the garage door that Lime was cautious to not get stain on as well as decorative metal pieces on the door that would all need to be taped off prior to starting work on the door. 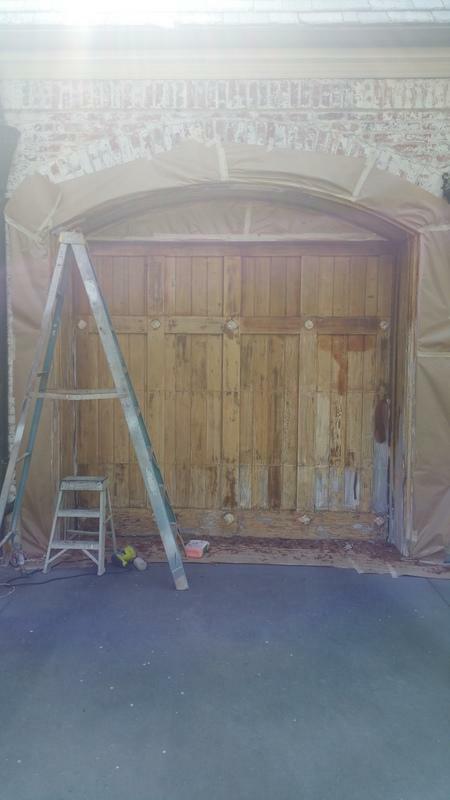 Advise: Lime took the liberty of using stripper prior to sanding the door to allow for a more efficient process given the size of the doors. 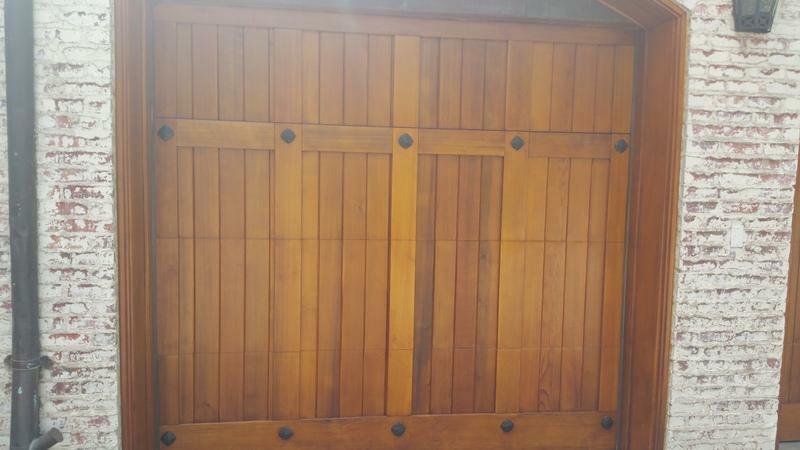 Thorough power sanding would remove the stain from the flat surfaces and create an ideal profile for the stain stain to be applied to. 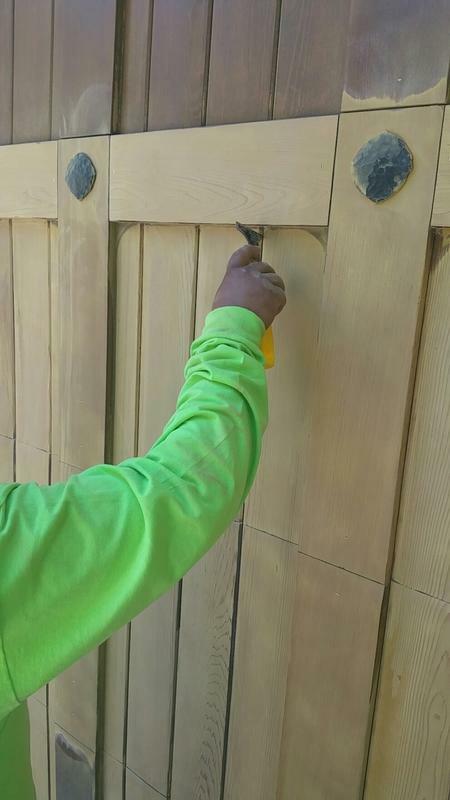 Due to the transition from dark stain to lighter stain, Lime needed to carefully scrape/sand the stain from the crevices and joints in the detailed door so that the dark stain would not show through the new stain.